City government structure: are some institutions undersupplied? City councilors have a vested interest in maintaining the local government structure that got them elected. 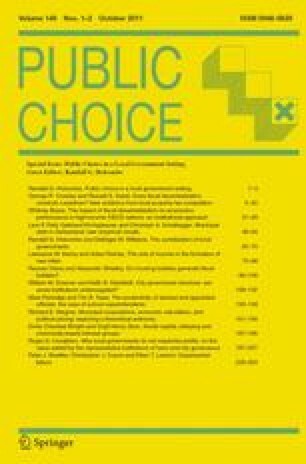 This resistance to change may result in non-optimal supplies of particular local political institutions as cities and metropolitan areas experience changes in population and diversity. Using unique data from the State of Florida, we show that there is an undersupply of cities offering larger council sizes. Our evidence also suggests that there is no undersupply of cities with the mayor-council versus the council-manager form of government or cities with at-large versus district election methods.